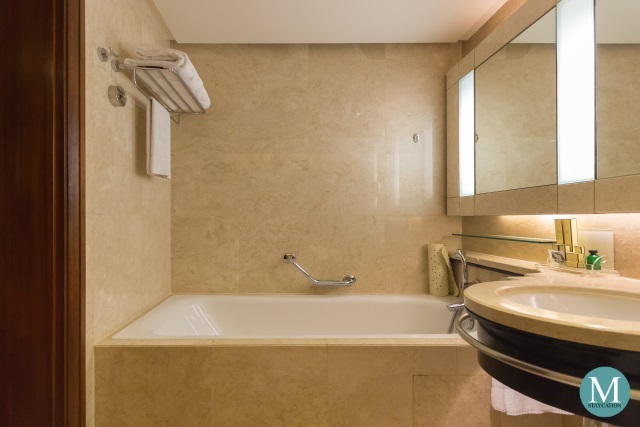 At 39 square meters, the Executive Room is slightly more spacious than the lead-in Deluxe Room category. 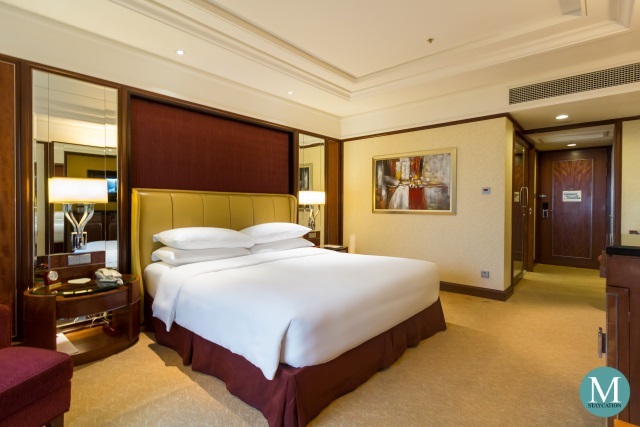 I chose this room primarily because of the property's ongoing Double Golden Circle Award Points promo back in August 2018 which included a 15% discount on room rates for categories Executive Room and above. It was a great deal considering the discounted rate and the rebate value of the double golden circle award points. Guests who booked the Executive Room can choose a room with a view of the hotel's garden or a room with a view of the city. If you are particular about the view from your room, make sure you mention it when you book your room. I stayed in an Executive Room facing the city and overlooking the corner of Jalan Sultan Imail and Jalan P. Ramlee. As a Golden Circle member, I received a platter of fresh fruits as part of my welcome amenities. 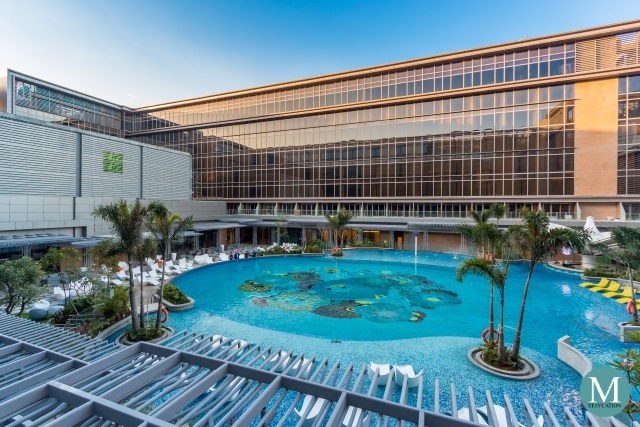 A lot of luxury hotels don't provide welcome amenities anymore like how Shangri-La does, that is why I appreciate it a lot when I stay in a Shangri-La. Welcome amenities may be a small thing for some, but I personally think that it gives a sense of arrival and adds to the homey feel of a hotel stay. 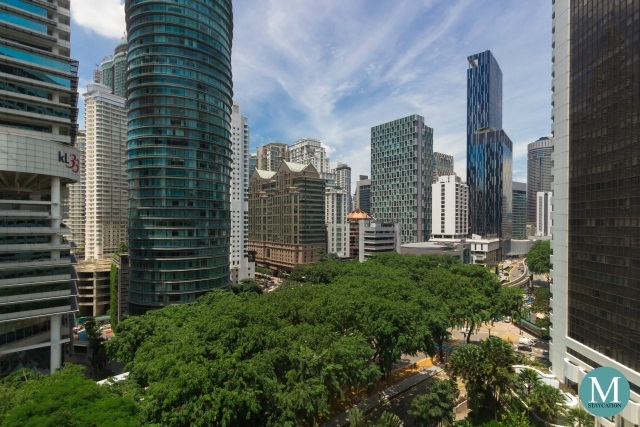 Although I was on a vacation in Kuala Lumpur during my visit, I did spend an hour every day working in my room to catch-up with some work-related emails. This works perfectly for me because it minimizes the backlog of emails I need to respond to when I return to my office in Manila. The wireless Internet connection was decently fast and I like the convenience of having power outlets with universal sockets next to the table. The room is equipped with a flatscreen television with local and international channels. The minibar is located below the television which is fully-stocked with bottled fruit juices and sodas. Water kettle as well as cups and glasses are also stored inside the minibar cabinet. 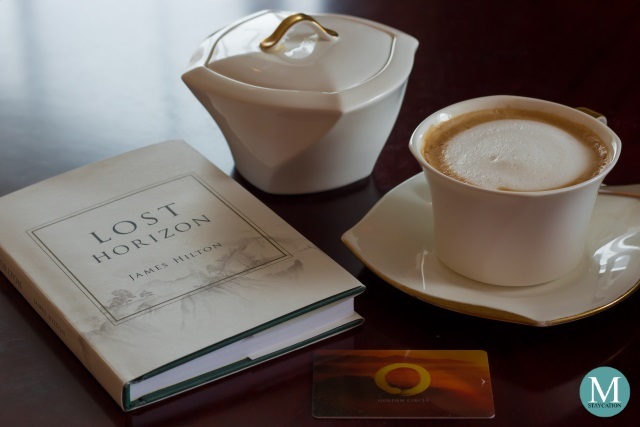 Complimentary bottled water, instant coffee and Zesta tea bags are replenished daily. 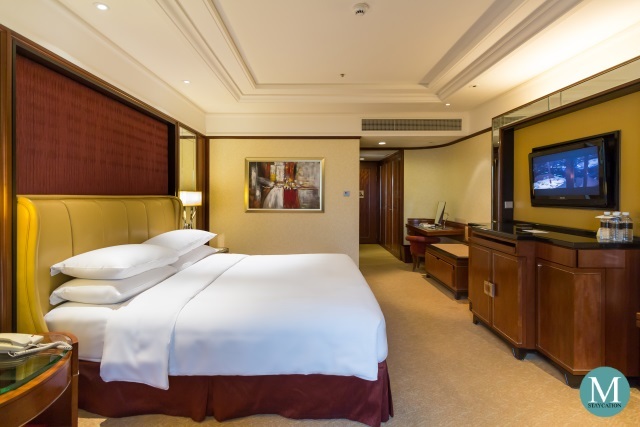 The Executive Room is available in a King Bed or Twin Beds configuration. 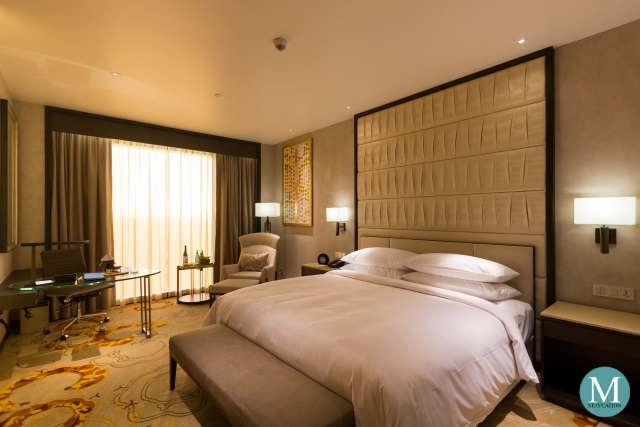 The beds in Shangri-La hotels are some of my top favorites to sleep on. 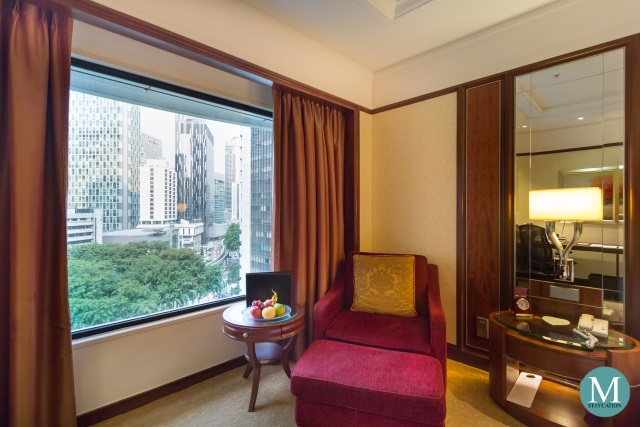 The excellent sleep experience has always been consistent in all my stays in a Shangri-La, including this one at the Shangri-La Hotel, Kuala Lumpur. The bathroom was smartly designed to fit a separate walk-in shower and a bathtub without feeling cramped. 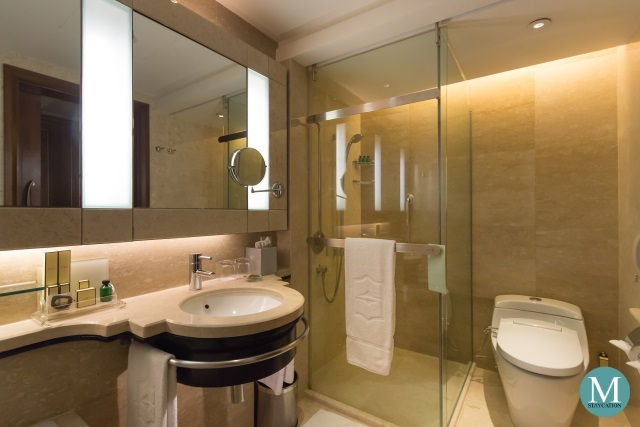 It has a single vanity with a wall-to-wall mirror and white bathroom mirror lights. The walk-in shower has a sliding glass door and is fitted with a handheld shower head. Next to the walk-in shower is the toilet fitted with a bidet seat. Water pressure was consistently strong during my stay. When taking a shower, it only took a few seconds for hot water to start flowing from the shower head. The water temperature was also very easy to regulate. Towels smelled clean and fresh, and were provided in abundance including bath towels, hand towels, wash cloths and a foot towel. 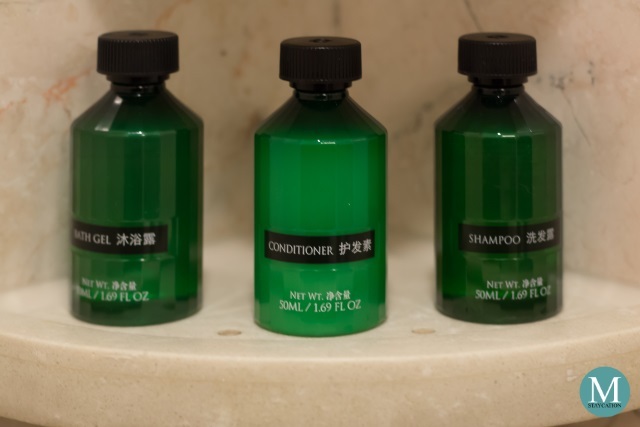 Signature Shangri-La Crispy Mint toiletries are provided in the bathroom including bath gel, shampoo, conditioner, body lotion and soap. Two sets of toothbrush and toothpaste are placed at the wash area. Bathroom amenities are replenished daily. 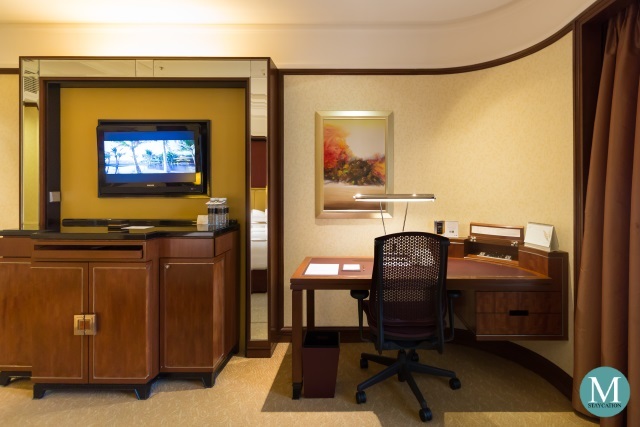 If two guests are sharing the room, you can just call housekeeping and request for additional amenities. 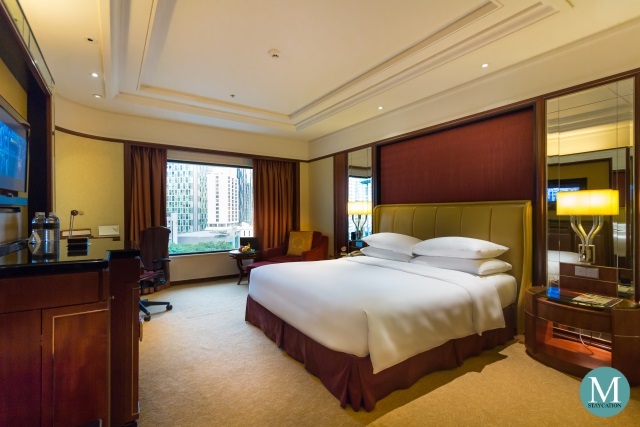 Overall, I loved my stay in this Executive Room at Shangri-La Hotel, Kuala Lumpur. 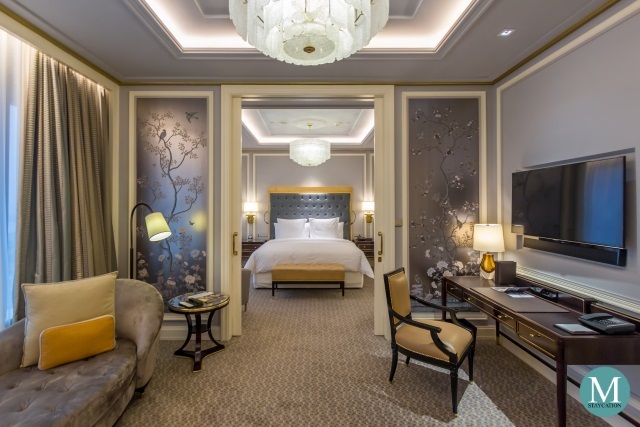 With so many new options in the city, it is still a good choice to stay in a Shangri-La. All my expectations were met, including the warm welcome and excellent sleep experience. I will definitely stay in this room again for my future trips to Kuala Lumpur.